Payen Ernst is a young self-thought artist from Jacmel Haiti. 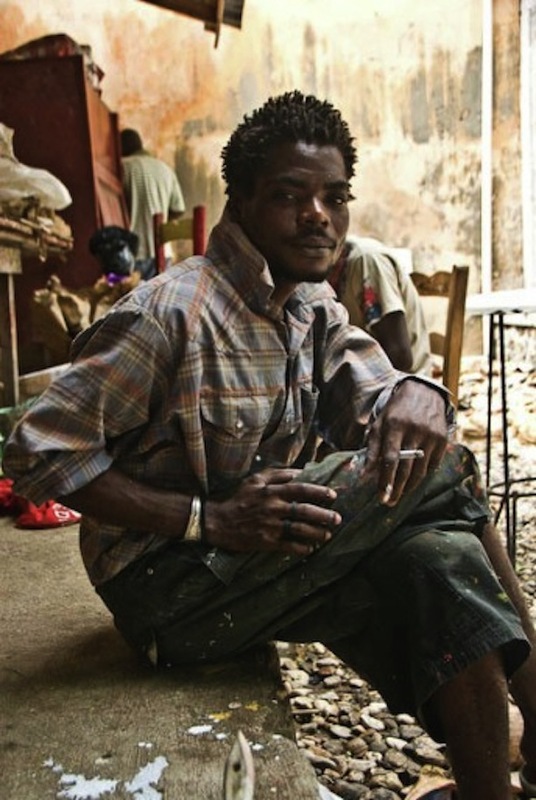 He has had art training by senior artists from the FOSAJ art centre in Jacmel Haiti. He draws, paints and specializes in found-object sculptures and papier-mache Carnival masks. 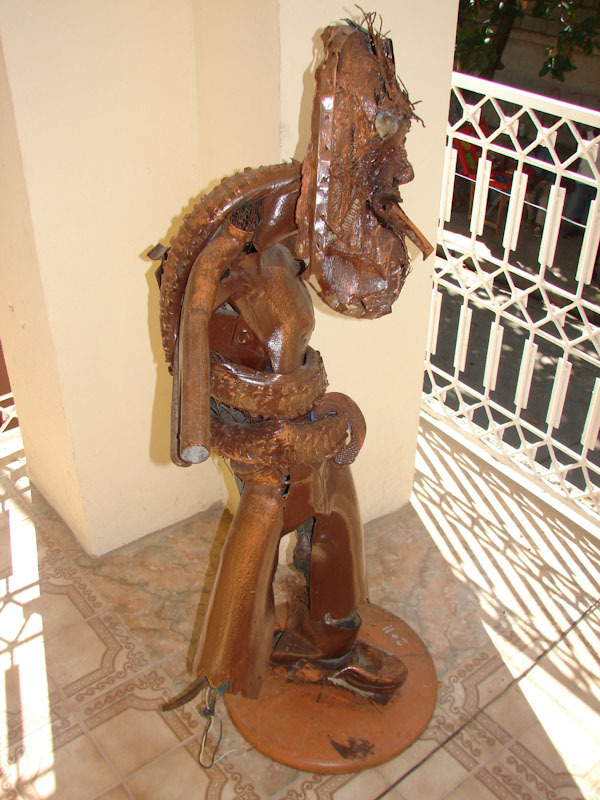 He is a full-time artisan and is currently working on a new body of sculptures in Jacmel, where he has been exhibiting in public spaces over the past five years. The overarching methodology for this show seeks to use the multiple platforms of new internet technologies. This process is a way in which to "dissolve the boundaries" which have separated art practices around the globe. These shows in the Tate's Oil Tanks allow us an opportunity to participate in a collaborative exhibition in London, with us in the Caribbean. Trinidad & Haiti - Visual Art Exchanges comes out of an 18-month series of exchanges and on-going conversations among the seven of us who are participating. Johnson, Ramesar and Kain from Trinidad, and Ambroise, Ernst, Craft and Faublas from Jacmel Haiti. Our seven interconnected bodies of work being presented range from film, sculpture, craft, drawing, painting and recuperated found materials. They centre on investigations in the context of Haiti, merging a view through a Trinidadian lens, with a Haitian visual language which speaks back to the viewer. This exchange has enabled critical conversations which continue to inform our art practices on both islands.